One of the comments I hear regularly from archery students is how much harder archery is physically than they were expecting. They were apparently expecting a sport which required very little muscles and was more about aim (like darts, gun marksmanship or even golf) than your ability to pull the bow and hold it steady. Sadly this is a very common misconception amongst non-archers who make the assumption that archery is easy and anyone can do it. But they forget that in order to aim you first have to be able to pull the bow and most importantly hold it steady. Let me put it this way... I can lift 300 lbs. But I have to struggle to string a bow that has a 40 lb draw. The bow may say it has a 40 lb draw, but that number is confusing for non-archers because they think 40 lbs isn't a lot. Olympic recurve archers typically use 40 lb to 50 lb bows when they're in their prime. Some more extreme archers shoot 60 or even 75 lb bows, but those are exceptionally rare. The trick about archery it is essentially weightlifting, but you are often using some of your weakest muscles to pull the bow. In my experience the average woman can only manage a 20 to 25 lb bow with ease. The average man a 25 to 30 lb bow. Anything higher and they start to struggle or had better be above average with their back, shoulder and arm muscles. The next trick is holding the bow steady. 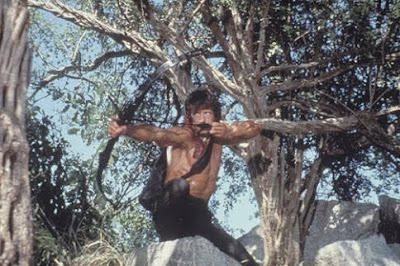 A lot of people have underdeveloped forearm muscles and struggle to hold the bow steady with their bow arm, and their arrow arm may be strong enough to pull back the arrow, but lacks the endurance to hold it steady long enough so they can aim. Lastly, there is the matter of repetition. If you shoot 200 arrows with a bow you can barely pull in a 4 hour period you will have a sore back guaranteed. Possibly sore arms too. It really is like weightlifting. If you're into mythology just look at the legends about famous archers. 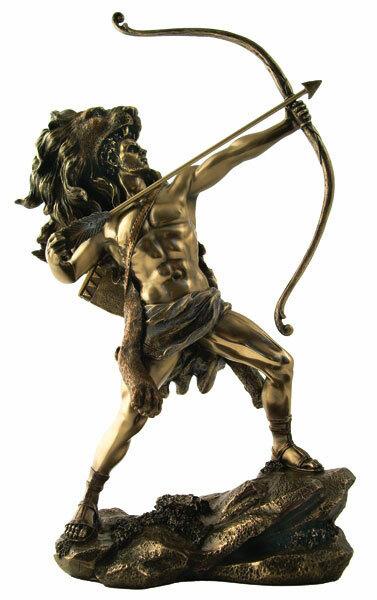 Hercules left his bow to the Scythian brothers and only 1 of three brothers could string his bow, thus making him the one who should be king. A different bow belonging to Hercules went to the Trojan War and was the same bow which shot Paris (and he later died from hydra poison). Other strongmen who used the bow in history, folklore and mythology include: Abhimanyu, Apollo, Arash, Arjuna, Feng Meng, Hayk, Houyi, Jumong, Karna, Marduk, Osoosi, Palnetoke, Rama, Robin Hood, Shiva, William Tell, Zhou Tong. If you watch all the recent movies featuring archery (The Hunger Games, The Avengers, Brave and even the recent Rambo film) and TV shows (Smallville, Game of Thrones) you might be led to believe that archery is easy. Given lots of time, and lots of helpful tips from an archery instructor, they can learn to hit the target consistently even when distracted, tired, stressed, in poor weather conditions... but they aren't going to reach that pinnacle unless they also build up some muscle strength. #1. Pushups - This is #1 for a reason. Pushups use your triceps and your back muscles which are the two most important muscle groups when doing archery. Pushups also develops your core muscles in your back which helps your balance. I recommend doing 100 to 200 pushups daily. #2. Chinups - If you have a chinup bar you will want to use it daily. I recommend 100 to 200 chinups per day. It will build up your bicep and shoulder muscles, also good for archery but less important that the triceps and back. #3. Cardio - This is to build up your endurance. Doesn't matter whether you run, swim or cycle. You need to be building up your endurance so you can shoot 200 arrows per day. #4. Weightlifting - If you access to weights use them. Lie on your back and lift the weights above you. Stand up and do arm curls. Stand upright and lift to the side using your shoulder muscles. Do all three 50 to 100 times each. Need more advice on how to train for archery? 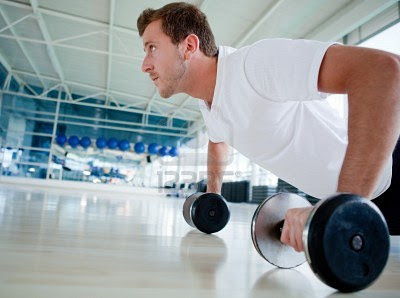 Hire a personal trainer to create a series of cross-training exercises specially for you!